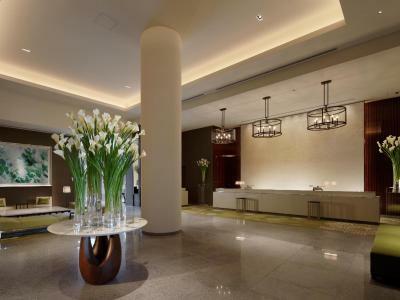 Lock in a great price for Palace Hotel Tokyo - rated 9.4 by recent guests. This is the most beautiful hotel I have ever stayed in. And I have stayed in many around the world. Just amazing. Beds comfortable. Checkin and checkout at club lounge very quick and efficient. Everything was well organised and very clean. Modern and new. I always enjoy this hotel. Great Staff. Good service. 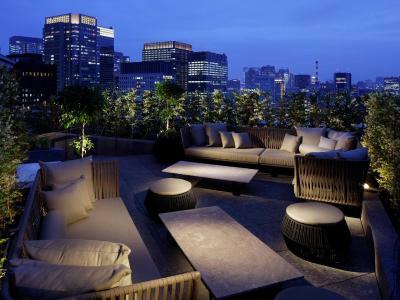 Fantastic pool overlooking the imperial garden and great location next to Tokyo station. I loved the room so much, we booked a balcony room because we thought we would have a better view, the view was amazing. However, they gave us a corner room, meaning our view was slightly better (especially at night) and we had a little more space. I loved the teapot and the team were so helpful on check in. However, I was treated slightly better than my partner, not sure why. The location is in the name, right next to the Tokyo Imperial palace, on our last day in tokyo, the sky was clear and the air was warm, we woke up with a gorgeous view and went to the palace for a free tour, the hotel let me park thew car there all day so we weren't stressed about parking somewhere else before heading to the airport. It was a really good experience staying here. I would recommend it. Room, bed and all facilities were very good. Light switches could be more clearly marked. Staff made me so welcome particularly as my last visit was 20 years ago - with my husband who died later that year. It brought back such lovely memories as Japan was his favourite country when we stayed at your hotel for a week or so and visited many places from there by the bullet train. 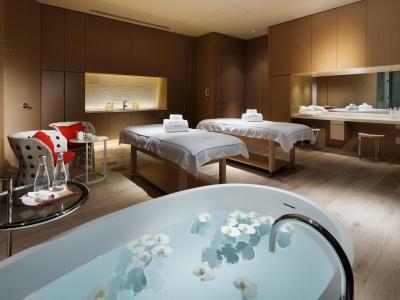 Situated right in the heart of Marunouchi business district, Palace Hotel Tokyo is 5-star luxury accommodation boasting 7 restaurants, a spa and a free-access fitness centre and indoor swimming pool. 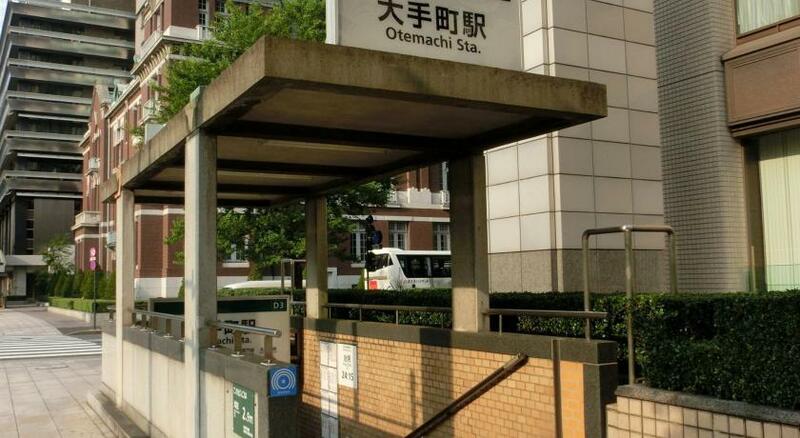 It is directly connected to Otemachi Subway Station and an 8-minute walk from JR Tokyo Station. Free WiFi is provided in the entire area. Offering elegant and chic ambience, each spacious room comes with a large LCD TV, a blu-ray/DVD player and a safety box. A fridge and an electric kettle are also provided. The en suite bathroom includes a small TV, a bath tub and toiletries. 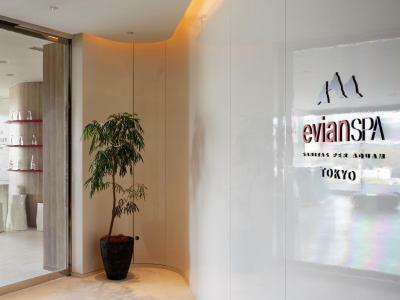 While staying at Tokyo Palace Hotel, guests can enjoy a workout at the fitness gym, or receive rejuvenating treatments at the on-site Evian Spa Tokyo. 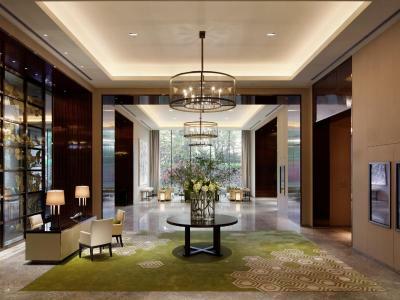 The concierge desk can arrange various services for guests including mobile phone rentals. Tablet rentals, copy and fax services are available for an extra charge upon request at the front desk or club lounge. 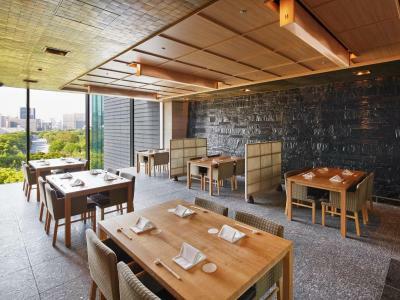 Guests can enjoy authentic Japanese culinary experiences in Wadakura restaurant, Tatsumi tempura restaurant and Kanesaka sushi restaurant. Crown offers exquisite French cuisine and the city views, while Grand Kitchen serves international dishes throughout the day. 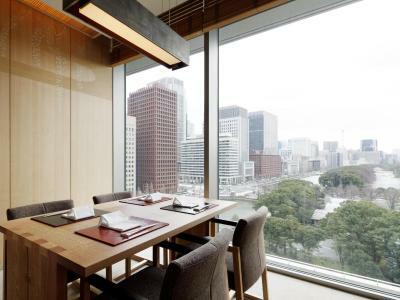 Located right next to the Imperial Palace, the hotel is a 10-minute walk from Ginza shopping area, and a 5-minute train ride from Akihabara electric town. Popular Tsukiji Fish Market can be reached within a 10-minute taxi ride. Airport limousine buses are available to/from Narita and Haneda airports at an extra charge. 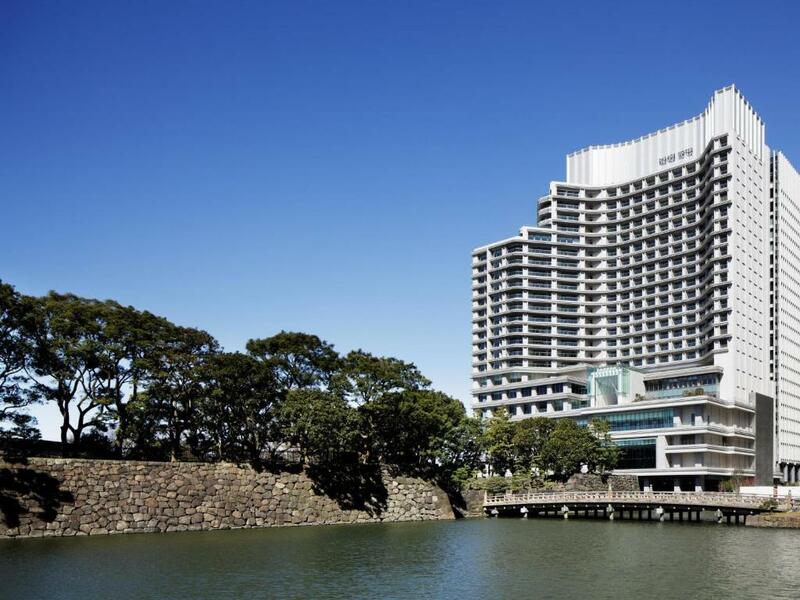 Palace Hotel Tokyo has been welcoming Booking.com guests since 24 Jul 2013. 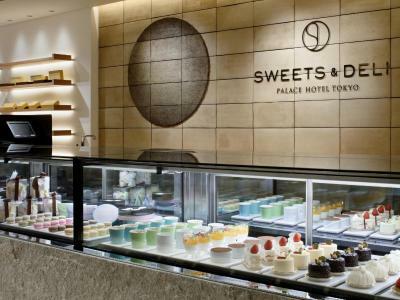 When would you like to stay at Palace Hotel Tokyo? Offering elegant and chic ambience, this spacious room comes with a large LCD TV, a blu-ray/DVD player and a safety box. A fridge and an electric kettle are also provided. The en suite bathroom includes a small TV, a bath tub and toiletries. 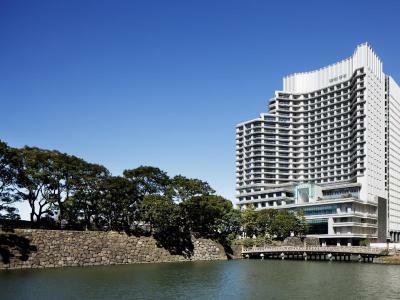 Public parking is possible on site (reservation is not needed) and costs JPY 2060 per day. Features a balcony with park views. This double room has a DVD player, air conditioning and electric kettle. 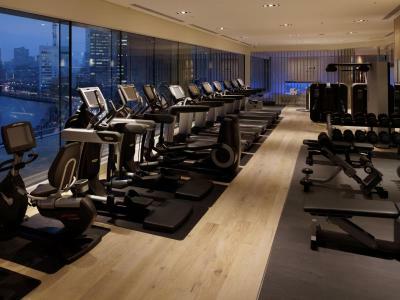 The room includes free parking and free access to the swimming pool and the club lounge. The club lounge is located on the 19th floor and is open between 07:00 and 22:00. Includes breakfast at the Club Lounge. Guests will be required to pay an additional fee if they wish to dine in the Grand Kitchen. This double room features a balcony, electric kettle and air conditioning. The room includes free parking and free access to the swimming pool and the club lounge. 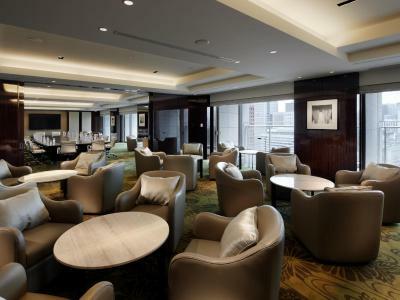 The club lounge is located on the 19th floor and is open between 07:00 and 22:00. This twin room has a balcony, air conditioning and electric kettle. The room includes free parking and free access to the swimming pool and the club lounge. The club lounge is located on the 19th floor and is open between 07:00 and 22:00. This suite comes with a complimentary access to the Club Lounge. it features a living room and a bedroom fitted with luxurious furnishings. The bathroom comes with a bathtub. The suite boasts a large balcony. 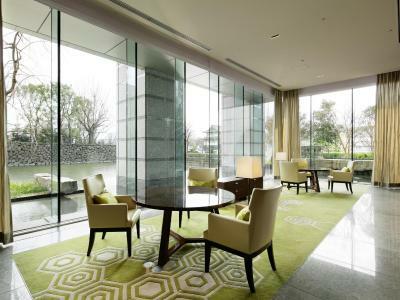 Offering a view of the Imperial Garden, it features a living room and a bedroom fitted with luxurious furnishings. The bathroom comes with a spa bath and a separate shower with dual rain/handheld shower heads. The suite boasts a large balcony with small gardens. This spacious suite comes with a complimentary access to the Club Lounge. 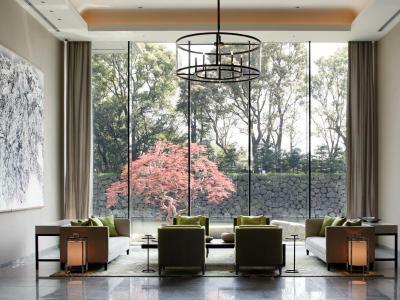 Offering a view of the Imperial Garden, it features a living room and a bedroom fitted with luxurious furnishings inspired by Japanese aesthetics. The bathroom comes with a stone bathtub and a separate shower. The suite boasts a large balcony with small gardens. This double room features air conditioning, DVD player and electric kettle. This twin room features a seating area, air conditioning and DVD player. This twin room has air conditioning, electric kettle and DVD player. This twin room features a DVD player, seating area and air conditioning. 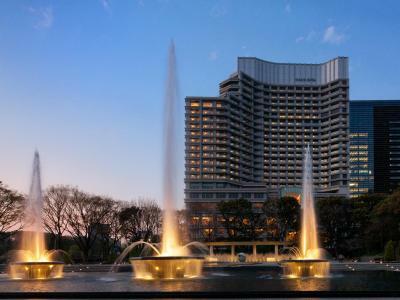 House rules Palace Hotel Tokyo takes special requests - add in the next step! Palace Hotel Tokyo accepts these cards and reserves the right to temporarily hold an amount prior to arrival. The club lounge is open from 07:00 until 22:00. Guests who stay in the Club Deluxe, Club Deluxe Twin, and Club Deluxe King Rooms are required to have breakfast at the Club Lounge. Guests staying in these rooms will be required to pay an additional fee if they wish to dine in the Grand Kitchen. Please note that the maximum occupancy of the room cannot be exceeded under any circumstances. For extra guests exceeding the room occupancy, guests will be asked to separate rooms and additional charges will apply. Guests may not be accommodated if there is no availability. 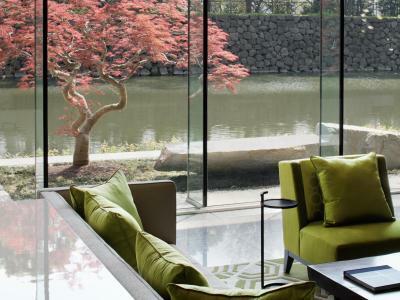 Beautiful hotel on the heart of Tokyo! The Japanese restaurant which was 35,000 yen per person was terrible. The worst food I ever had in Japan. It was unappetising and stale. The restaurant ambience was non-existent and the seats were very uncomfortable. A total waste of money. The staff at Club Lounge were excellent. Special mention to Nami and Fareen for taking care of all the details of our stay and for looking after us and making us feel so welcomed and at home. 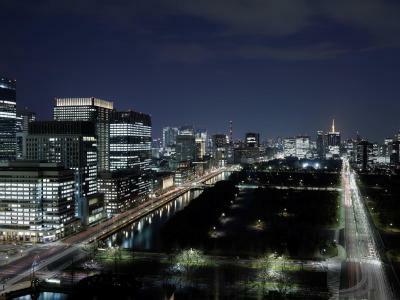 Love this place that this place is so close to the imperial palace, great running route. Hotel services shut down very early. Good location and nice view. Best pancakes ever! Great variety! Alles is hier perfect ! Confused staff, not sure how they manage the system. We booked the room with breakfast, first day we went to breakfast and no one asked us to sign anything, second morning waiter came up to me with the bill and I told him our room is including breakfast and asked him to double check. He later came up again with the bill saying “maybe it’s not included?” I told him again it was included and have the confirmation on my phone and he left. Then at check out, the two days breakfast showed up again on my bill! Overall it wasn’t pleasant and the staffs were confused. Location is not as idea either, it’s not super close to any subways, can be difficult in winter. 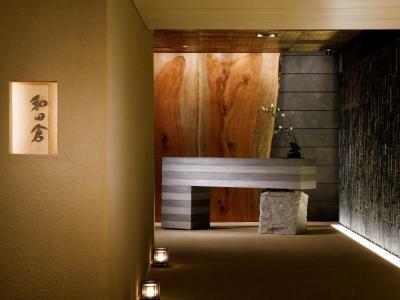 There are lots of better 5 star hotels in Ginza area, will not recommend this one. The price was a bit high for the service and amenities. We had to line up and wait for half an hour outside in the cold for a cab. Excellent staff. 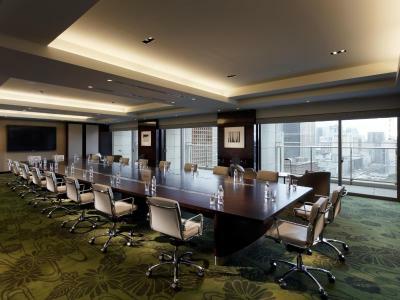 Great location near the Tokyo Station and the park.